Like so many others, I was deeply saddened to learn about the recent death of Lisa Bonchek Adams. I was also caught a bit off guard. I had read her recent Facebook page post in which she stated, “Things are quite, quite serious…”, but yet I thought she had more time; after all, things had been quite serious for Lisa for months, no, for years. Maybe it’s just that I hoped she had more time. But it was not meant to be. I’m still trying to absorb the fact that Lisa has died, as are so many others. Lisa’s writings on her blog will be missed by many. Lisa will be missed by many. Lisa’s blog posts filled with clarity, wisdom, candor and frank honesty about metastatic breast cancer were posts that thousands of other readers like me had come to anticipate, learn from and simply appreciate both for what they were and for what they were not. Another reason I was caught off guard by the news of Lisa’s death was because Lisa died on the very same date in March as my mother, March 6th. For me, this date was already ‘taken’. Cancer was crowding in on my day of loss. Two lives to grieve for. Taken on one day. The same day. How could this be? I’m not sure if such statements even makes sense to you, but somehow it felt as if cancer had given me yet another jab to my heart. This is the way with cancer. It jabs. Relentlessly. But then every single death to metastatic breast cancer that I learn about (and even the ones I do not learn about) feels like another jab to my heart. Again, this is the way with cancer. It jabs at your heart. It jabs at your very being. Last #MetsMonday was the successful Stomp Out BC social media blitz (which is by no means over, so stay tuned). 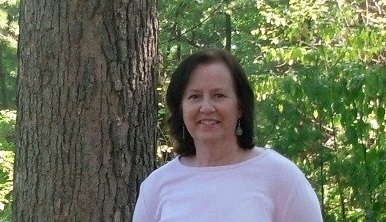 Many in the blogosphere made extra noise about metastatic breast cancer. We stomped. We ranted. We shared. We felt (more) heard. We felt (a bit more anyway) empowered. This #MetsMonday, perhaps some of us feel “stomped” upon. Or rather our hearts do. This is the way with cancer. It “stomps” on us too. Once again, we will make time for the weeping, the ranting and the grieving. But we will carry on each in our own way because this is what my mother, Rachel, Susan, Cheryl, Shelli, Barb, so many others, and now Lisa would want us to do. Carry on. And we will keep sharing truths about metastatic breast cancer. We will continue to honor all lives taken by this disease. We will continue to fight for better treatments and outcomes for those presently living with it. We will continue to strive toward making a metastatic diagnosis a rarity for those who come after us. We will be loud again. We will keep stomping. What do you when you feel “stomped” upon? What will you remember about Lisa Bonchek Adams? 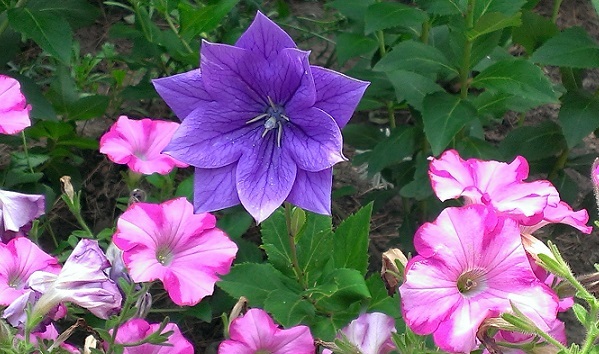 I chose to share the image below because the only ‘real’ conversation Lisa and I ever had was about the beautiful purple balloon flower in this photo that I took last summer in my garden. As many of you know, Lisa loved flowers and we chatted about this one. Whenever and where ever I see this lovely bloom again, I will think of Lisa. And I will remember. Yes, Nancy, my heart feels stomped upon…again. I am reminded of May Smith, Barbie Ritzco, Zelda Nagel, and all of the Pink Moon Lovelies who are no longer with us. Some days it is too much to bear. I had a different connection to Lisa Bonchek Adams. We were both alums of Franklin & Marshall College in Lancaster, PA. Although we graduated 13 years apart we were members of the same collegiate family. The connection ran deeper when my son joined the first graduating class at Franklin & Marshall to live in Bonchek House, donated by Lisa’s parents in her honor. Gives me chills every time I think about the fact that our paths were meant to cross. If not for you, Nancy, I would never have stumbled upon Lisa and her blog. I still remember seeing her name in the Facebook news feed and pausing and thinking it sounded so familiar. Thank you for leading me to this extraordinary woman who will live on through her words. Every year on March 6th I will think of your beloved mother and Lisa Bonchek Adams. Together, we will not forget. Not ever. Nicki, Some days it is too much to bear, but at the same time we are compelled to carry on exactly because we know so many who have died. Sharing the stories, telling cancer truths and advocating, each in our way, is how we honor them. Thank you for commenting and no we will not forget. Nancy, thank you for your post. I am finding it hard to write about Lisa right now. I still have her link on my page — not planning to delete it as it was, and still is, a great source of information and inspiration. I cannot seem to find a way to write the words “RIP” next to it though. Each time I learn about someone’s death due to bc, someone I knew of, it affects me. You would think we should be “prepared” for the news, right? Not me. It hits me hard every time, even when expected. I guess in a way I always carry a peace of hope for those patients who struggle. I had hope for Lisa. I had another connection to Lisa. We both shared the same Onco at MSK. I know Dr. Dang and I feel for her as well. She must be heartbroken. Dr. Dang tries so hard to keep us strong. All of our Doctors do. Although they lose patients everyday, I am sure, like me, they carry a peace of hope as well. Otherwise, why try? Dr. Dang tried very hard to save Lisa. I will miss so much about Lisa: her writing, her poems, her honesty, her willingness to share reality with all of us, her courage, her love for life, her little pictures she always included with her posts. This is the part I find so difficult to cope with because I feel sad and guilty at the same time. You have a lovely garden, Nancy. Rebecca, I understand your feelings. You had a special connection with Lisa since you shared the same oncologist and yes, undoubtedly, Dr. Dang feels sad as well. Oncologists lose patients often, but it has to hurt every time. Lisa will be greatly missed for sure, as will all the others who have died from mbc. Our feelings are complex when we learn of another death to this disease and yes, it is hard to manage them all. Thank you for sharing your thoughts and feelings. I’m glad you liked the photo. My best to you. What a beautiful purple bloom! I can see why you both loved it so much. What I will remember about Lisa is her influence on so many people and the fact that her blog caught the attention of powerful journalists and NPR. She really became the voice of those of us with metastatic cancer who have a more limited audience or don’t have the energy to project onto a larger group of readers and think-tanks. She also told things the way they were, without mincing words. I believe medicinal research is advancing even in the stage IV setting due at least in part to the combined voices of people like Lisa. So sad. Sorry she has died. I read some of her blog posts only after she had died, although I had heard of her while she was still living. She is a good writer and she had me in tears. I read the post where she talks to her daughter about cancer and how they would deal with it. I’m so sad her kids are now without a mother. Lisa’s writing will continue to make a difference for people even after she has died. Lindsay, It is terribly sad, as is every death to metastatic disease. I feel so sad for her kids too, it’s heartbreaking for all families dealing with such a loss. You’re right, Lisa’s writing will continue to make a difference for others for a very long time. Thank you for reading and commenting. I literally sat at my computer and cried Saturday morning in learning of Lisa’s passing. Like most others who knew her from her posts, I would “check in” on her early and late to see how she was doing. She had gone through so much but yet had such a strong essence that I truly thought she’d come through this round of anguish as well. Who among us does not imagine ourselves in this same situation? I’ve donated multiple times to SK in her honor in the hopes that those brilliant scientists can inch forward on a way to not only make MBC survivable, but cured. I’m hoping you are at peace with angels, Lisa. Donna, I know. Many of us did exactly that. I think we kept hoping Lisa could hang on because she had been doing exactly that for so long. Thank you for making those donations. That’s incredibly good of you. You’re so right – we need more research to inch our way forward. Too many lives are still taken by this horrible disease. Thank you for reading and sharing. I felt caught off guard too. Even though I had been reading the same updates as you. Just a punch in the gut. When I first saw the news I had hoped it was a hoax. And I just couldn’t believe it. I tend to pull inwards when things like this happen, to shut the world out, but I’m trying to not do that this time. And I’m trying to post something each day with #FindBeauty, as a way to remember her, keep her spirit going, to remember that life can be so incredibly unfair and sad, and yet have such powerful moments of beauty, of friendship, of tenderness. Brandie, Sometimes we do want to pull inward and try to shut out the world. It’s a kind of self-preservation I guess. I’m glad you are trying not to do that though and your recent post was a wonderful example of how you are keeping your heart open even though there is chance for more pain when one does that. The post really struck a chord with many readers. I like your idea of posting daily with #findbeauty. Lovely idea. Thank you for reading and sharing. Our hearts are all weighted with loss. Kathi, I know you understand all too well. Yes, that was a rough February and February was already a loaded month for me. Thanks for stopping by. Loved received. Thank you. Lisa’s death is a huge loss to her family, of course, and to us in the breast cancer community. Bizarre that she died on the same day as your mom. I’m so sorry, Nancy. It’s all so sad. Eileen, You’re right, but of course every single death to mbc is a huge loss to the family impacted. Thank you for reading and for the kind words. I’m writing a post in memory of Lisa but it’s very difficult to write. I am heartbroken and really don’t have words to express my appreciation for her. I’m very sad. Beth, It is difficult to write about the losses. With every one comes new waves of sadness. It’s like it all just keeps building and we all know the losses will keep coming. But yet, we keep on writing and advocating precisely for that reason too. I look forward to your post. Take your time; the words will come when you are ready. Marie, Yes, a profound shock even when it’s expected. That’s exactly what it is. Every time. And so terribly sad. Thank you for your comment. When You’re Cancer Blogging, Where Do You Draw the Line?